Growing up in the Northeast was lucrative for a kid like me-motivated and driven to make money. From an early age, I helped the older folks in my neighborhood by mowing their lawns in the spring, raking leaves in the fall and shoveling snow in the winter. I was well compensated for performing these tasks, and continued doing them throughout adolescence and into high school. Over the years, special relationships developed with these neighbors; one in particular grew strong. Mrs. Lawton was an 80-year-old widow who lived across the street from my family. She was not well liked by many because of her crabby and often mean demeanor- all of the neighborhood kids were petrified of her. At first, I felt the same, but even at that young age knew I needed to look deeper than the façade she showed and give her a chance to prove that perception wrong. I was able to look beyond her behavior because I knew she was an unhappy, lonely woman. I visited her when no yard work needed be done. I would spend hours talking with her, asking questions, and listening contently as I heard about her exciting past. I was captivated, and often touched by her stories! I think she simply needed someone to care for her- someone to listen. I believe she needed someone to make her feel special. Don’t we all desire that? During these conversations, I would actually see her face soften when she shared from the heart- a sight I now consider to be one of the most beautiful to see in others. We stayed close until I moved away to college. Years passed when I found the book Wicked, written by Gregory Maguire, that is based on the famous fairy-tale – “The Wizard of Oz”. I was fascinated with the author’s twist on the story we all grew up watching. I love this book for many reasons, but mainly because it showed how at first glance one might place Mrs. Lawton and the main character of this book in the same category-undesirable! 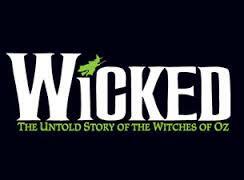 Wicked is the story of Elphaba, the Wicked Witch of the West- the mean, scary, green villain most of us loved to hate. Maguire brilliantly helps us view Elphaba in a different light-not as a cruel witch, but as a human being with a painful past! When looking at her life through his eyes, we are not surprised she had some issues that affected her relationships with others. She was not pretty. Her skin was pigmented green, making her an outcast to society. Her parents contemplated infanticide due to this birth defect. Her siblings got more love and attention. These are just some of the issues that could explain why she behaved in ways that appeared less than kind to others. However, Maguire goes beyond Elphaba’s behavior, and delves deeper into the psyche of this compelling and highly sympathetic character. We learn her intent was pure- she set out to make her world, Oz, a better place. We learn she is a true champion of the underdog as well as being a kind, gentle soul. Unfortunately, she was branded wicked because of some of the choices she made towards the end of her life. Haven’t we all made bad choices at one time or another? Wouldn’t it be wonderful, if before judging or coming to negative conclusions about others, we could take a moment to look beyond behavior, to see possible reasons why people act the way they do? It doesn’t excuse people’s inappropriate actions, but it does allow us to understand where they might be coming from, to then be more empathetic with them while they are conducting themselves in that manner. I believe we all, at our core, are good, loving human beings. However, through the painful experiences of our lives- our wounds, our disappointments and hurts, we forget about our goodness, and act from a place that is less than loving. I don’t think people enjoy being unkind- I know during my weak moments, I certainly don’t. The next time you meet someone who comes across as unattractive in behavior, try dealing with them in the way you would want to be treated on a bad day- with compassion and empathy. If the negative attitude continues, then bid them peace and move on. However, I think you will be pleasantly surprised when, through your loving actions, you see them soften and witness their gentle, loving nature come forth. A few years ago I received a call informing me Mrs. Lawton had passed away. This news was upsetting, as she was a special part of my past. Much like Elphaba, Mrs. Lawton had an exterior that was tough and somewhat unattractive, but once I looked beyond her behavior, I experienced the loving, beautiful person that she truly was. I would love everyone to read this highly entertaining, imaginative and thought- provoking book. It reminds us to look beyond people’s unpleasant behaviors, to give people the benefit of the doubt and to have compassion and empathy for others – as we would want them to do for us!